Peat bomb from the go. 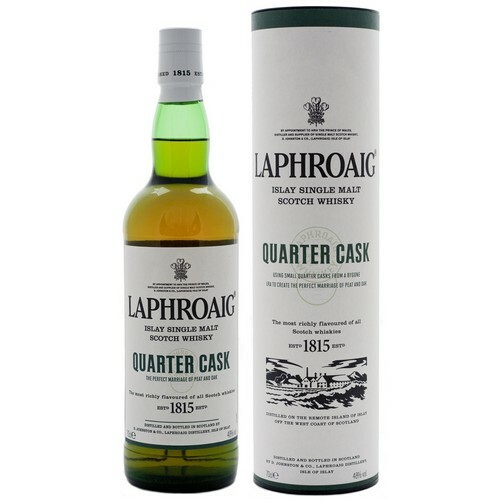 You can get hints of sweetness from the sherry influence, but it comes and goes, while the peat powers it way through the palate all the way to the end. All a single malt from islay is cracked up to be and a bit more. Simply amazing for only having spent 5 years in a barrel in Scotland. An intense barbecuey whisky built on a barley character. Subtle sweetness, little depth. Overpriced for what it is. Immensely smoky - but overpriced for a one trick pony. Gimmick Whisky. Oily and very phenolic with an underlying sweetness and a pinch of salt. ; superb.